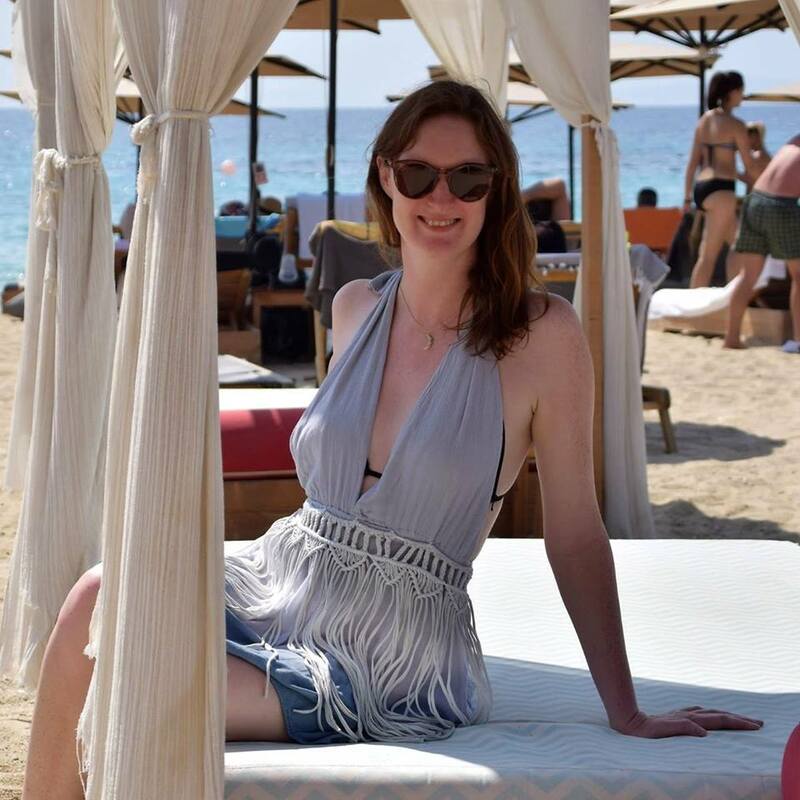 My favourite Bali beaches – the most relaxed and naturally beautiful – were at the west coast resorts of Balian and Canggu, where we concluded our tour of this wonderful island. Having clocked up many miles visiting Bali beaches by taxi, we learned that you can travel the route from Pemuteran to the small village of Balian for a fraction of the price by bemo. This minibus operates roughly every 50 minutes. The luggage and people were piled high precariously, as we picked up passengers along the coastal road to the western port town of Gilimanuk. 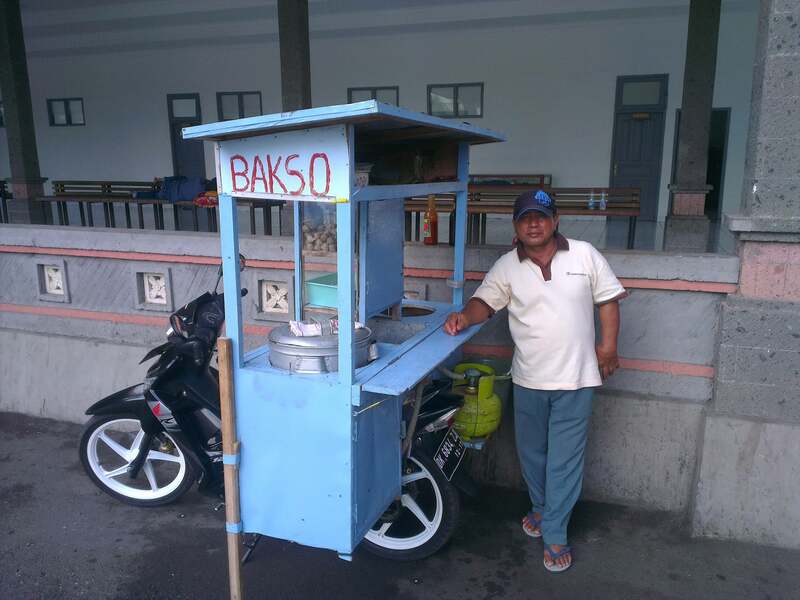 At this bus station we enjoyed a tasty and very affordable lunch of bakso, a spicy meatball noodle soup. The guy serving was happy to pose for a photo, donning his cap especially to be captured by camera. 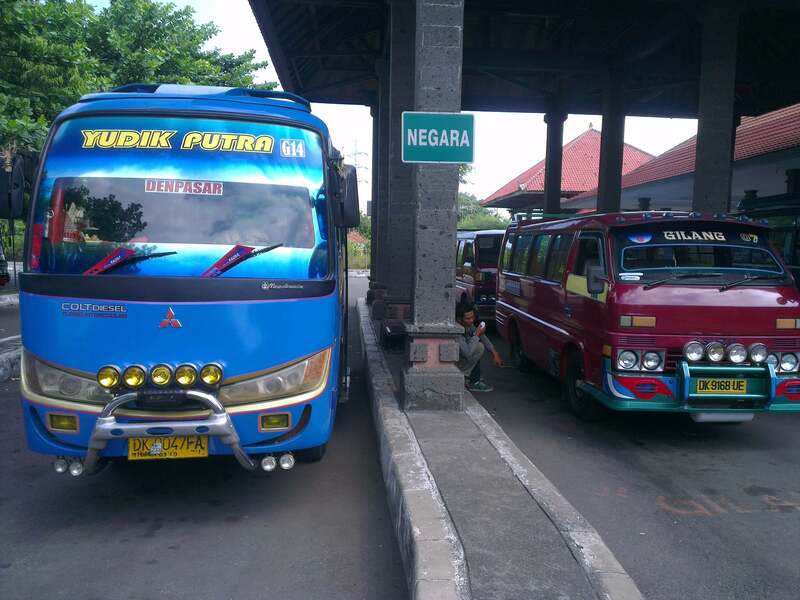 We then boarded another bus travelling down the west coast road, where we would alight at Balian, before it continued to its destination of Denpasar, Bali’s capital city. The journey was interesting to say the least. Blaring from the bus’s TV were unintentionally amusing Balinese pop videos, which the driver was so captivated by that he couldn’t keep his eyes away from the screen. As a result we were crawling at a snail’s pace down the road, with cyclists and probably even keen pedestrians overtaking us. In the seats in front of us a local lady was repeatedly being sick into a small plastic bag, which she would then throw out of the window and into the road like a neat vomit bomb. Lovely. But great to experience the local way to travel. 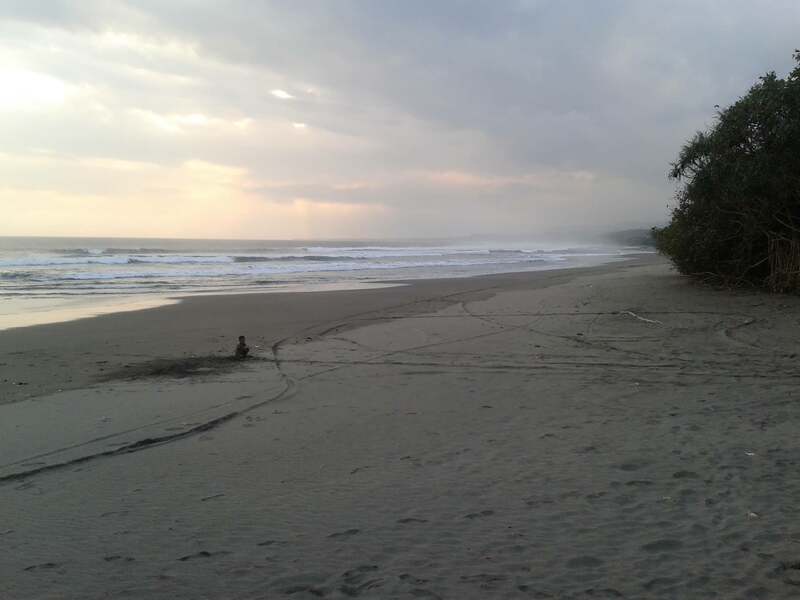 When we hopped off the bus in Balian, we wandered down with our heavy backpacks and found the road to the beach. It was lined with surf shops and small restaurants, known as warungs. 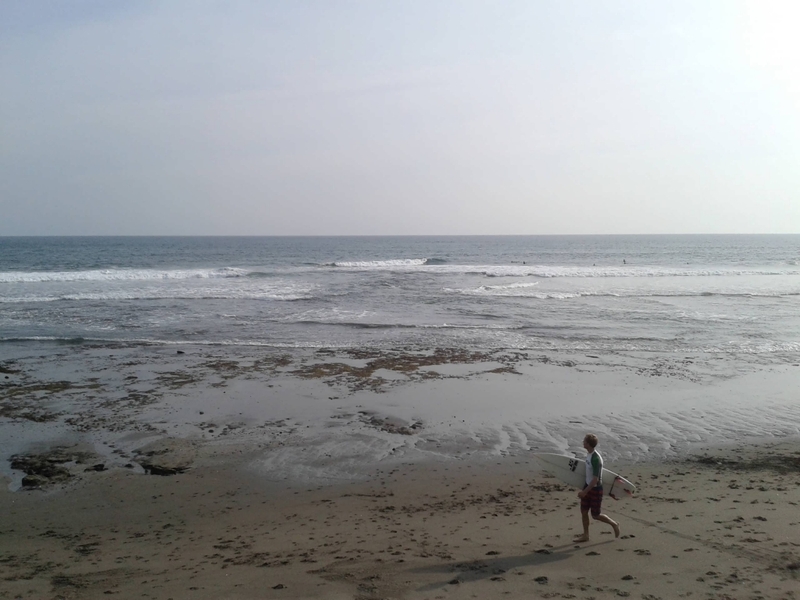 Unusual for Bali beaches it was quaint, sunny and refreshingly free from tourist crowds. While searching for somewhere to stay for the night, we were lucky enough to meet Nyoman, the effervescent and helpful Village Chief, and his lovely wife. Nyoman took it upon himself to ask around at the beachfront resorts and found us a well-priced room at Gubug Balian Beach Bungalows. He even transported us there on his motorbike so we didn’t have to carry our cumbersome bags. The view from our room, over the resort’s gardens and across to the sea, was a delight. As was the great wifi, which isn’t always easy to come by in Bali. Of course the beach was our first port of call. It was beautiful and wild, with fine blonde sand caressed by the sea, surrounded by palm trees and large craggy rocks to explore. We found a host of eclectic, gorgeous shells and created our own little collections on the rocks. On the downside, being a surfer beach, the waves were sometimes too strong to swim in. The following day we encountered something truly spectacular. 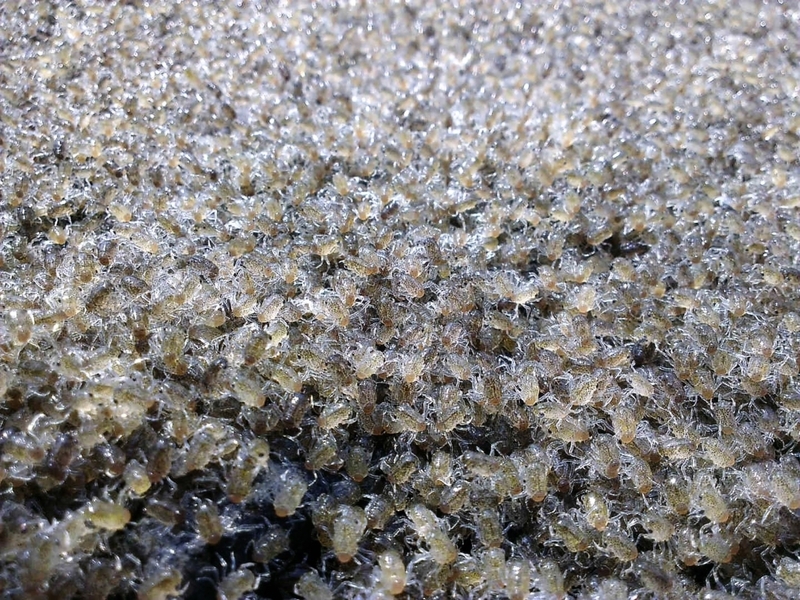 On the banks of a stream inlet snaking along the sand were thousands, or maybe millions, of tiny baby crabs. There were so many, it was hard to comprehend. It felt like being in a nature documentary about the remote Christmas Island, where you watch in wonder at the carpet of scuttling crabs, yet here they were right in front of us. Being essentially embryonic, these crabs weren’t harmful in the least so you could scoop them up with your hands and they would wriggle out to continue their journey. Really something special to experience. 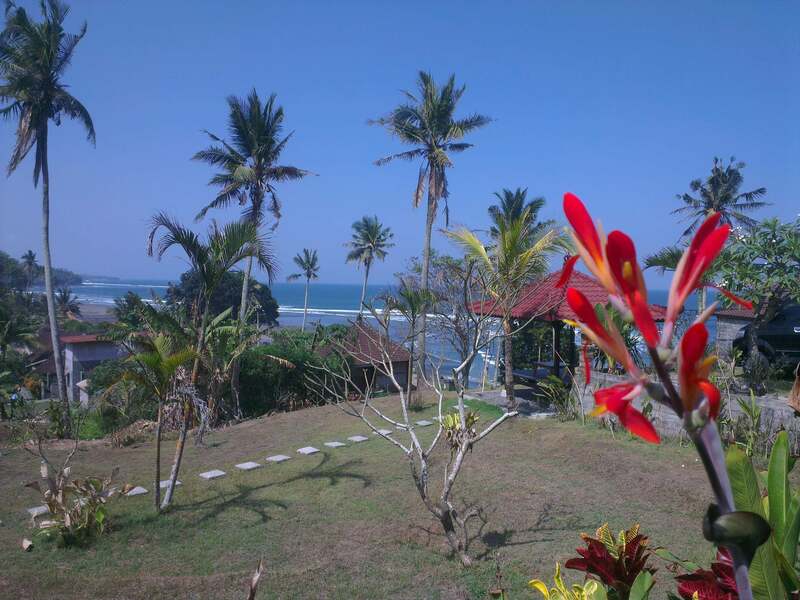 One afternoon Nyoman, the Village Chief, showed us a beachside family villa resort he manages, on another lovely stretch of Balian beach. Here he explained the perks and challenges of his six-year role, as he tackles the demands and issues of the village dwellers and the government. In fact, he openly wanted to retire before being voted into this role, but his contemporaries felt he would be the perfect man for the job – and we could see why. 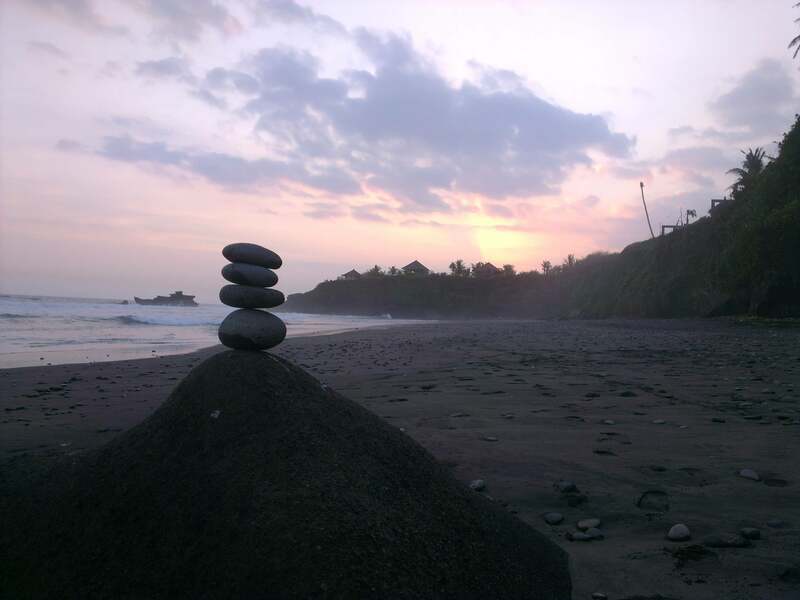 In Balian, you can spend your time surfing and doing yoga – they run special classes to ease tired post-surfing muscles. After a blissful few days here it was time to leave for our next stop: Canggu. We packed our bags, bracing ourselves for the bemo again, but luckily we spotted a taxi driver tucking into his lunch so we booked his cab instead for a stress-free, air-conditioned journey in comfort. 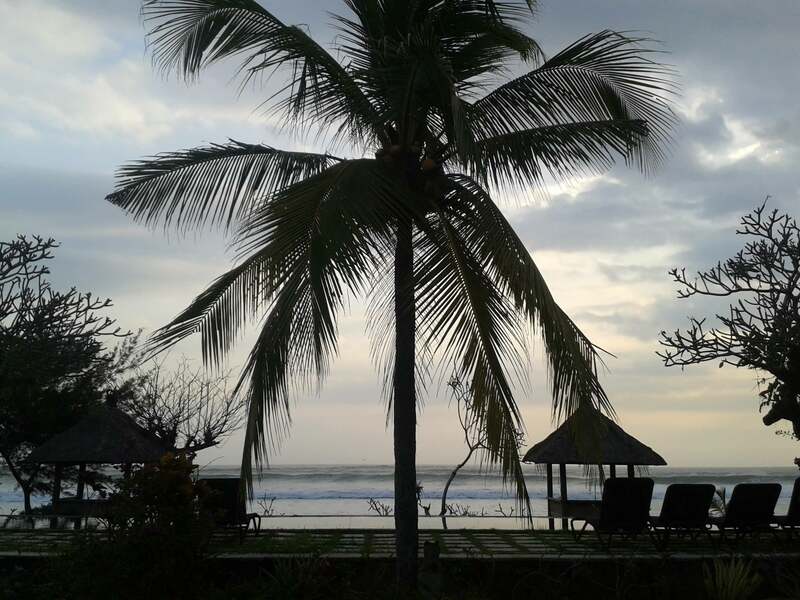 Canggu was one of the Bali beaches I had heard about from other travellers, as another surfing and yoga haven. We found a pleasant, newly built guest house called Jepun Bali Homestay, whose owner also runs a fantastic open air pizza place next door, serving the best pizzas in Bali. As we gorged on the cheesy, tomatoey, doughy delights here we watched the preparations for the World Cup, as the manager erected a large screen and huge colourful posters to attract football fans. I always enjoy the buzz of this tournament and I could feel it starting already. The beach area in Canggu is frequented by surfers and local professional photographers recording their impressive moves. 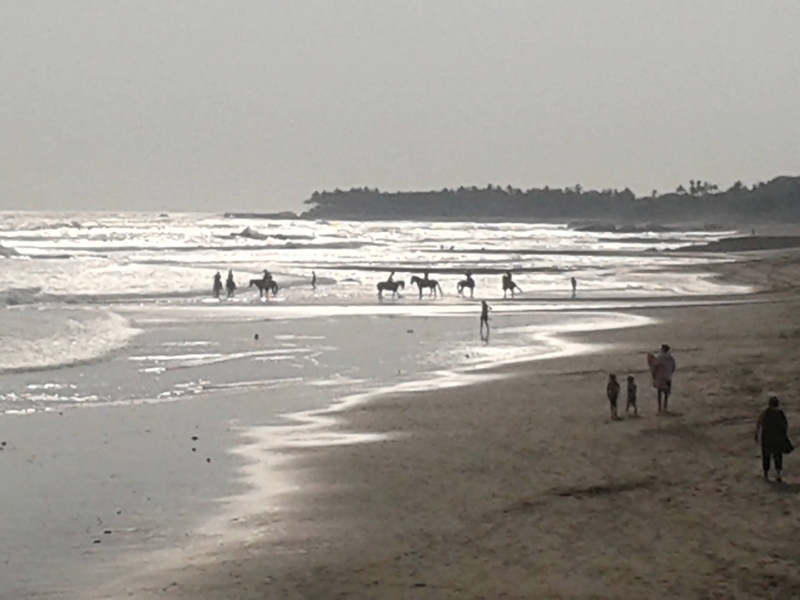 At one point we spotted a group of horses, with riders on their backs, trotting around in the shallow waters. 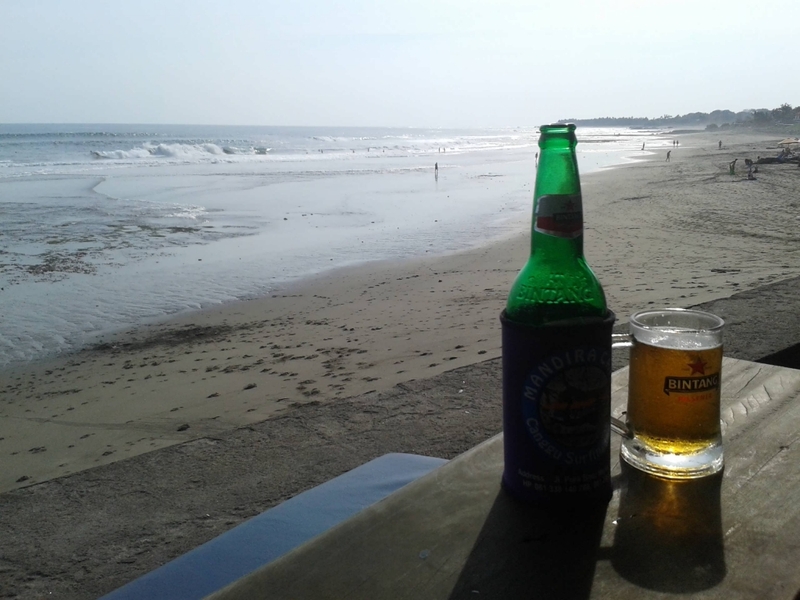 Despite being more touristy than Balian – like most of the Bali beaches – with salespeople trying to tempt you with cheap sunglasses or handmade jewellery, Canggu is cool place to kick back with a cool Bintang beer, especially if you are into surfing culture. 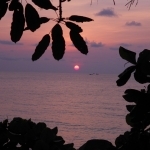 Now, read about the best things to do when backpacking in Bali.